The commencement exercises of Sunnyville Early Childhood Learning Center is fast approaching. As a teacher I am task to give them a finale presentation that would showcase their talents. 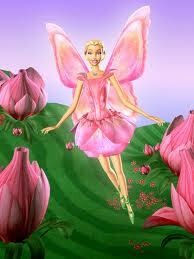 I am thinking of having a play with the concept of fairy. As of now I am still confused what would be the title of the play. I am choosing between "Fairyville" which comes from the name of the school or "Fairytasha" comes from the name of the main character. i would like to suggest....FAIRYVILLETASHA! what u think??wink! hahahaha... what a combination.. ok counted wala pa bitaw nag close ang nomination.